Pharmamuscle® is a premium quality sports nutrition range designed for everyday men and women who lead busy, active lifestyles. 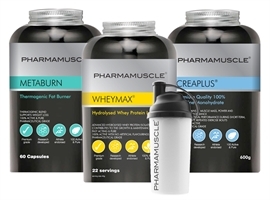 Whether you are a weekend warrior, yoga lover, a gym-goer, a runner or simply like the occasional walk, the Pharmamuscle Range can help support your nutrition and fitness needs. 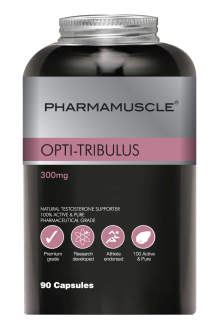 Pharmamuscle places the focus on you. We specifically design our products using the highest quality ingredients to provide optimum results for you, whether you're an occasional gym goer or a professional athlete. The innovative and adaptable culture at Pharmamuscle® allows us to respond and create products to match your needs. When you join Pharmamuscle, you join a community of like minded, performance focussed individuals and a brand that puts your needs first. We offer expert advice along with our superior products which ensures that Pharmamuscle sees you through to the end to reach your goals. 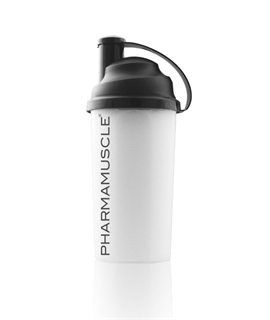 The Pharmamuscle brand is built on a foundation of three fundamental principles; innovation, science & quality. 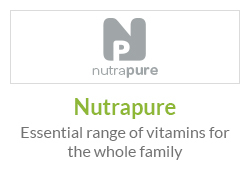 The combination of this triad of values ensures that our products are renowned for pureness, superior quality and most importantly delivering results which has lead to Pharmamuscle® quickly becoming a leading sports nutrition brand. 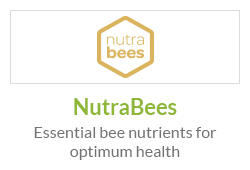 "To help you achieve your goals by providing the highest quality nutritional supplements available"
Our premium quality products are aimed at all levels of fitness, from occasional gym goers, to sports enthusiasts and experienced professional athletes. Our products are researched and developed by leading sports nutritionists with a wealth of experience in improving the performance of world-class athletes, sportsmen and those seeking a more active lifestyle. 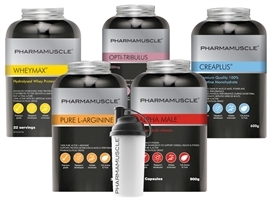 The Pharmamuscle range helps users lead a healthier lifestyle. 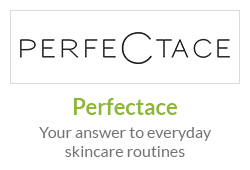 We do not compromise on pureness or quality and guarantee our products with a no quibble money back guarantee. All our products are manufactured to ISO9001 quality standards using GMP certified facilities in the UK. We are registered in the UK and are independently owned meaning we do not compromise on product quality. Pharmamuscle® has been designed by experts to provide the highest quality nutrition for everyday men and women who have an active lifestyle. 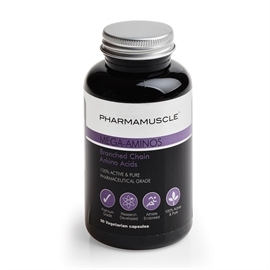 Whether you are a weekend warrior or a regular gym goer, the Pharmamuscle range has been formulated to support your every need. 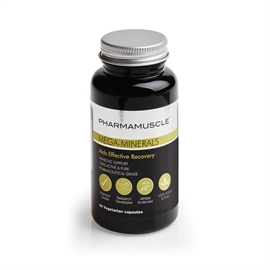 The versatility of our products enables you to gain maximum benefit from any exercise you take part in as the nutritional support that Pharmamucle products delivers the essential nutritional support your body needs. We also offer expert advice through a panel of established sports experts and nutritionists, ensuring consumers choose the right products for their particular needs. Our technical and performance team also develops bespoke nutritional products and works with elite athletes, National Governing Bodies and professional sports teams. We are committed to providing you the assurance that all of our products are of the highest quality. We test each of our batches and carefully regulate production and quality so you can trust Pharmamuscle to supple a premium product. All Pharmamuscle products carry clearly detailed label information, including full ingredient listings, full nutrition information and usage directions. 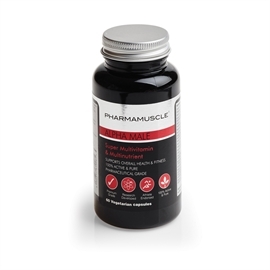 Pharmamuscle® products deliver the highest quality nutrition to support your body and muscle and effectively provide real, measurable results. 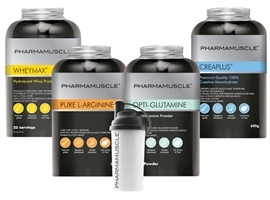 Pharmamuscle® products are designed around three core principles; innovation, science & quality. The combination of this triad of values ensures that our products are renowned for pureness, superior quality and most importantly delivering results which has lead to Pharmamuscle quickly becoming a leading sports nutrition brand. Our ethos of producing premium quality sports supplements that have been proven to be effective ensures that all of our products create a real and measurable improvement in your fitness. We believe that the superior quality of our supplements is the key to delivering results and Pharmamuscle makes no compromises to obtain all ingredients from the highest quality sources available. 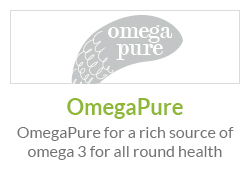 Our products can easily be distinguished from other supplements based solely on quality. 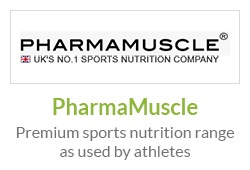 Pharmamuscle is the leading producer of scientifically advanced sports nutrition. 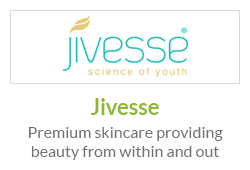 We only supply the very best natural products backed by scientific research and analysis. Our in-house scientists collaborate with our nutritionists to conduct research into the active ingredients to ensure that they have been scientifically proven to create a real impact. 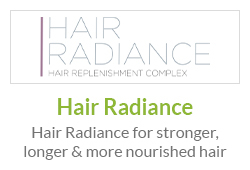 We specifically select ingredients that are backed by hard, scientific evidence so we can be sure that the product you pay for will have a proven biological effect. 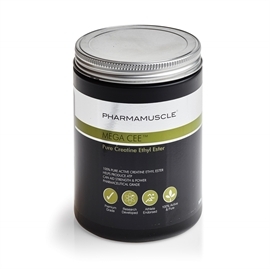 Pharmamuscle® products have been formulated using ingredients that have been scientifically validated using research and evidence to show that they have a real physiological effect. 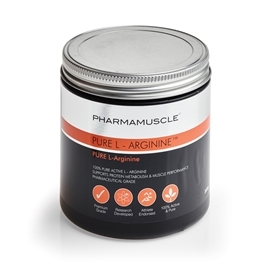 We include information on scientific studies that show how the specific ingredients we choose to include in Pharmamuscle products have an effect to improve performance and recovery. 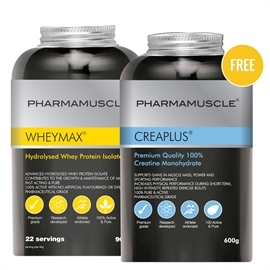 100% of the proteins in WHEYMAX® are hydrolysed to varying degrees. Hydrolysing is a process through which intact proteins are strategically broken down into smaller fragments, called peptides, for faster delivery and easier utilisation by your body. WHEYMAX's exclusive combination of mild, moderate, and ultra-hydrolyzed proteins provides di-, tri-, and oligo-peptides while retaining select microfractions naturally found in whey. 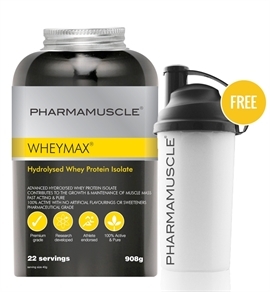 New research has highlighted the increased insulinotropic effects of hydrolysed whey protein, WHEYMAX, compared to native cheaper whey protein. The graph below shows a faster and greater insulin response to whey protein hydrolysate compared to standard whey proteins. The research, carried out at the Department of Physical Education and Sports Science at the University of Limerick highlights the value of an increased insulin response in increased glucose uptake which aids recovery and reducing muscle injury post exercise. The combined effects of increased insulin response and elevated circulating amino acid levels demonstrated by WHEYMAX in the critical post exercise recovery period point to the ingredient's effectiveness for refuelling muscles and preventing muscle injury. In addition, the high biological value of the ingredient and the antioxidant effects of its amino acids offer further benefits for professional and amateur sportspeople. In effect, the enhanced insulinotrophic response of WHEYMAX relative to other proteins means that less protein is required to provide the same rise in insulin. 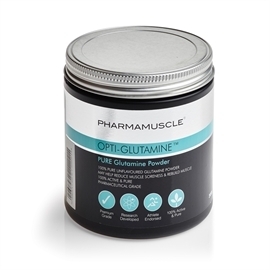 Glutamine has been the subject of extensive scientific research and has been proved to facilitate growth and recovery of muscle making it an essential supplement to prevent catabolism of muscle tissue after work-outs. Glutamine is known as the healing supplement and many clinical studies have shown that glutamine supplementation increases the recovery time after high intensity exercise. Glutamine has been shown to increases muscle mass, and enable improved performance. In a study, high intensity exercise was used to measure time to exhaustion as a measure of power and endurance. The graph below shows that the time to exhaustion is higher in the group taking glutamine supplements compared to those that are not taking a supplement. Recognised for absolute quality and innovation, our expert team work with a number of selected brand ambassadors, sports teams and personal trainers chosen for their ideals, ethics and ambition. Please contact us by sending an email to [email protected] if you would like to know more about opportunities for sponsorship. We are currently recruiting new Ambassadors. Sam Dunbavin, is an 18 year old beach volleyball athlete from North Devon, playing volleyball and beach volleyball for around 8 years. Sam has represented the South of England at indoor volleyball, competed on the National Adult Volleyball England Beach Tour and on the Junior Beach Tour, with 3 stage wins. Over the last year, he has been coaching and playing beach volleyball extensively, at home in Croyde, and abroad in Tenerife, Bibione and Austria. He also stood as a reserve for the Under 18 NEVZA (Northern European) tournament in Norway last year, and as a member of the England Junior Beach squad. On the horizon this year is Sam's first international event, the ASVO Beach Trophy invitational in Austria in June, a number of VEBT events, and trials for inclusion in the England U20 international squad for the Summer. Rob Jude is a National triathlete and marathon runner who has competed in Olympic triathlons in Ullswater and Hyde Park, as well as the Painbarrier, Hell runner, Major Series, Ironma, the Etape Eryri Sportive and Manchester 100 mile bike challenge and Wiggle Etape Cymru. Rob's fitness journey has seen him go from 22 stones to just under 15, and he continues to push himself. Competing in the following events in the next 12 months. I’ve always kept fit by playing a range of sports, from football to rugby, to running at school, but the difficulty that I’d find is that I could never bulk up. My weight had stayed at 10 stone for the last 5 years or so, so when I hit 6ft tall, you can imagine how lanky I looked standing next to my friends, they were keen to remind me of this fact at every opportunity, and I lost a lot of confidence during my university years. I was eating takeaways and packet foods, picking whatever was cheapest without ever thinking to check nutritional content, or how what I was eating would affect the way I looked. When I finished university and finally had some disposable income, I decided it was time to stop eating processed packet foods and consider eating healthily. I switched processed foods to wholefoods, and tried to avoid packaged meals and anything too carb heavy. I also joined a gym, which was a first for me, and pretty intimidating to walk through the doors for the first time, next to muscled guys who looked like they spend their lives there. Describe the results you achieved with your Pharmamuscle program. What achievements are you proud of? A friend from the gym mentioned that he’d been taking Pharmamuscle hydrolysed whey protein to help with recovery after his workouts. Protein shakes weren’t something that I’d ever considered, as I’d always imagined them to contain various chemicals and unsafe ingredients but after I’d started working them into my routine, I’d found that I was getting less and less injuries, and my muscles were less sore afterwards, allowing me to work out for longer and push myself further. 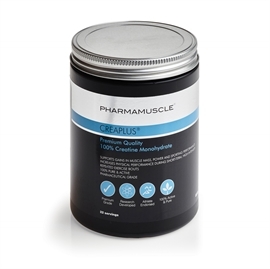 Pharmamuscle stood out for me as it’s 100% pure and natural, so I knew I could trust the formula. Once I’d gotten used to the product range, I also tried Metaburn Sport, a Thermogenic blend with green tea and green coffee bean, which helped boost my metabolism and trim fat, so I can concentrate on lean muscle definition. I’m now at 13 stone, and my dead lift has risen to 140kg, whilst my dumbbell press has risen from 18 to 45kg, they might just seem like numbers to everyone else but to me they represent a massive journey. I no longer feel like a fraud walking into a gym, and my girlfriend seems pretty happy with my new healthy regime! I started out at 16 stone in September 2013 and finally decided that I needed to take real action to stop myself putting on any more weight. I set myself the goal of fitting into one of my old dresses that I had saved from when I had a more slender figure. I found Metaburn and decided to start taking this as well as going to the gym regularly. I lost 3lbs in two weeks and now 6 months on I've lost close to 2 stone and I have achieved my goal. But I'm not stopping there. I'm continuing my training and will carry on taking Metaburn too for its fantastic results in speeding up my weight loss. My friend recommended that I try METABURN to help me lose weight. From the day I started taking it I noticed a huge difference. I felt energetic and refreshed and it really started to melt the fat away. With the same sort of diet plan and exercise that I was on previously I barely lost any weight, but with METABURN, I lost almost 3 lbs in two weeks. 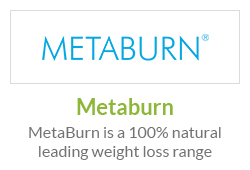 METABURN has given me some fantastic results. I have definitely reached my original goal and I feel happy and confident in myself now. 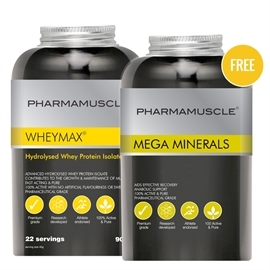 Pharmamuscle has given me the motivation to do more – I am continuing my weight loss and have even started taking Wheymax to help build muscle to boost my metabolism. For anyone trying to do the same as me, I would say look no further than METABURN. It's a great product and the results are fantastic. Remember to take breaks in your training regime and have the occasional naughty treat to keep yourself motivated and on target. The ranges have been professionally developed by a leading team of health experts and nutritional industry experts. Working closely with gym goers and sporting professionals the range of products have been developed with results in mind. We are proud to be working with the best in the industry, ensuring we have innovative product development, excellent product research, clinical trials and publish research on our products. Our team of consultants provide extensive support to the elite teams we work with across a variety of sports to ensure they have the finest support and advice with which to fuel their ambition. Our R&D team are often asked to formulate special products to meet the needs of sports enthusiasts as well as professionals. Our experts include experienced Personal Trainer, Rob Jones who ensure that the constantly evolving area of sports nutrition and product development is passed on. Pharmamuscle® has been endorsed by Rob Jones, Personal Training and Outdoor Fitness Expert. Rob is an advanced personal trainer, outdoor training expert and fitness writer based in Brighton and the South Downs. With a degree in Biological Sciences, a postgrad in Exercise and Health, a specialist qualification in Cardiac Rehabilitation and regular fitness training columns in national papers and glossy magazines, Rob has an understanding of the science behind the training and an ability to translate it to others. His knowledge is backed by years of experience as a personal trainer, kettlebell coach and bootcamp instructor. To check out more about Rob and his training visit: www.stridefit.com. This really does proove the point of investing in quality in my opinion, taste is good and results noticeable. Currently this is the best Protein money can buy. I was searching for a high quality protein supplement in the market with great taste and mixing. I reckon Pharmamuscle has the best hydrolysed product in the market! Mixes like a dream.. Goes down easily.. a truly outstanding protein. A low fat protein source which is easily digested, natural and not full of the nasties found in the cheaper whey proteins. Worth paying more for this quality product in my opinion, after all if you consume a bad diet your health suffers. Was recommended this by my personal trainer who swears it is the best in the market. A good product, helps post training. After taking this I feel ready to train again. This is a perfect combination of muscle gainer and weight loss supplement. Ready for the beach! I have loved the high quality whey protein. Wheymax is really fast acting and has helped me put on muscle mass really quickly after work outs. The weight loss supplement Metaburn has worked really well for me. It has helped me lose weight quickly without cutting too many calories out of my diet so I havent lost muscle mass. In fact Ive put on more muscle because Wheymax is so fast acting. Needed to bulk up quickly before the summer holidays and this beach body bundle is popular with some people at my guy so I tried it for myself. I have really quickly put on some more muscle and lost weight too so muscles look even more defined. The Beach Body Bundle is amazing value for money. I cannot recommend it enough. Top quality whey protein. Superfast acting so recovery is quick and fat burner has finally helped to budge the layer of puppy fat over my abs. This is a super bundle. I bought it just to try out the whey protein because this bundle is a really good price for the whey, fat burner and shaker. They whey is amazing. Best I have ever tried. Im quite impressed with how effective this combo is. Well pleased and ready for my holiday to Ibiza. Genuinely would recommend this bundle. I think this is a great offer for beginners like me who need to lose weight and build muscle too. I will be buying a couple to keep in stock while the offer lasts. I have only recently started to work out and my personal trainer recommended Pharmamuscle to me. I was going to buy the Wheymax tub but decided to go for this bundle to try out the Metaburn too and also I needed a shaker and this worked out so much cheaper for me. I have been taking this every day for about a week now and Ive had some rapid results. Ive put on some muscle and whilst Ive not lost weight probably because of the muscle Ive put on, I have definitely lost fat because I look and feel more toned and trim. Im training for athletics and this has been really useful for me not only get into shape quickly but the rapid muscle mass has helped me gain more from training and improve performance too. My personal trainer who has been using this for ages recommended this to me. I cant wait to start using it. Ive heard a lot about how great it is. 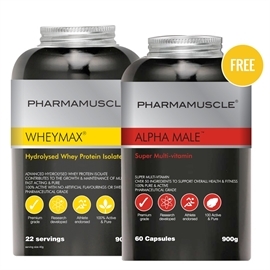 I have tried Wheymax before and it is now the only whey protein I will ever use because I have unbelievable results from using it that I just havent got with other whey proteins. I was so happy to find this offer on this bundle of Pharmamuscle products. I know its going to be great. The fat burner is absolutely incredible. It has helped boost my metabolism and lost fat so quickly without any side effects. 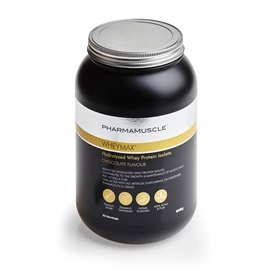 Im taking the Wheymax alongside it too and Ive seen my muscle definition improve loads. The whey protein mixes really well and is nice and smooth. Taking it with Metaburn should be a really effective combination to help get toned for summer! 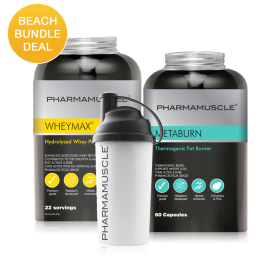 Fantastic quality products - really impressed with the gains Ive had since starting the beach body bundle - would definitely recommend it. Really pleased with this purchase. Im losing weight really quickly and getting more and more defined as I keep using both of these two products. Amazingly good, much better than the cheaper creatine products found in the market. Felt this improved my recovery and gave me the energy to push myself. Wow, buy it and see the results for yourself!